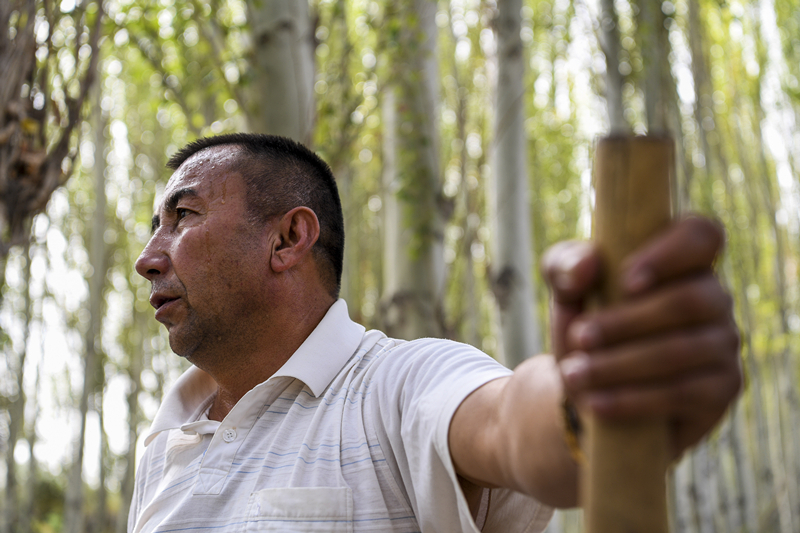 More than 30 years ago, a war against desertification was waged silently in a little-known spot called Kekeya in Aksu prefecture, Northw[MG_SEO]est China's Xinjiang Uygur autonomous region. Despite the low-key approach, the program's influence was widespread because the locals won the battle and passed on the task of fighting Mother Nature's quirks to those who will continue to strive for a better environment. Located at the northwestern edge of the Taklimakan Desert, the largest in China, Kekeya was once notorious for its unstable weather and frequent sandstorms. The Taklimakan, which at 337,000 square kilometers is only slightly smaller than Germany, is also the world's second-largest shifting sand desert. In 1986, officials in Kekeya launched an afforestation project to prevent the desert from expanding, and reduce the impact of dust and sandstorms on nearby residents. It was completed in 2015. Over the past 32 years, a "green wall" stretching for about 77,000 hectares has gradually been erected between the desert and local towns. The remarkable achievement in Kekeya has inspired more people to participate in ongoing ecological campaigns that are expected to transform the desert intcustom made wristbandso an oasis.